Orthotics are a great way to help with issues related to walking and alignment. Some of these include but are not limited to knee, foot and lower back pain. 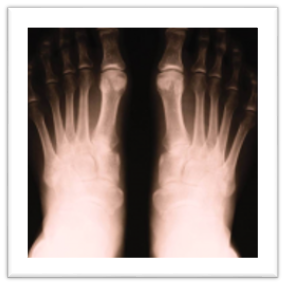 The need for orthotics is often related to an issue with the natural functioning of the foot. Orthotics will often help to realign the bones within the foot and ankle and therefore take pressure of other parts of the body such as the back, neck, shoulders and hips. In addition, orthotics will help with distributing your weight properly and take further pressure off of your toes, bunions and other parts of the foot. The great benefit of orthotics is that they can be worn on a daily basis, and be utilized during most activities to take further stress off the body. Orthotics can often be prescribed and custom made by the doctors at our office. Talk to your doctor about getting started with orthotics today. If you are experiencing pain, contact us today for a complimentary exam and consultation to determine if chiropractic care can help you. Call us at 816-373-3373 or request an appointment online.We look forward to helping provide you relief from your pain and restoring normal body function.